Shiver me timbers! Walking the plank with Capital Brewery Mutiny IPA. 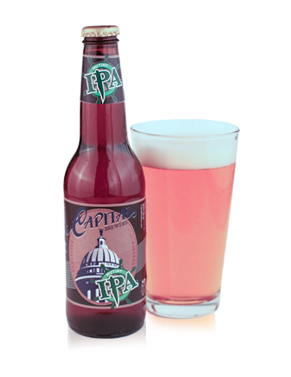 Thanks to Mary Jane Sanchez from the Social Media Club Milwaukee, I was fortunate enough to acquire a sample bottle of Capital Brewery Mutiny IPA, their first official IPA. 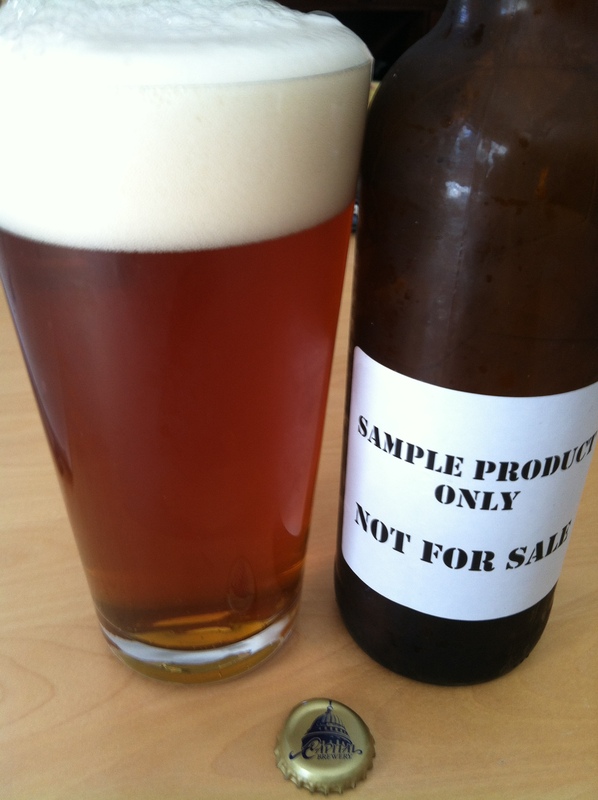 Considering the beer had yet to be released, it was presented with a generic, non-descript label bottle. Don’t let the unassuming label fool you. If you enjoy IPAs, you might be pleasantly surprised when you try one. Upon pouring, the beer provided a tight, effervescent head reminiscent of a weiss beer. The first sip said it all. With a slight citrus taste, a clean, moderate hop flavor, and a decent IBU count (70), its flavor claimed the IPA category nicely. Even though the beer was only mildly carbonated, the taste and quality shined through. And, coming in at 6.2% ABV, it was memorable enough to want another! So, if you’re an IPA fan, you’ll be pleased to know the beer will be available for retail purchase starting April 1, 2013. Grab a bottle and let me know what you think! Please note: I’m not a beer critic, nor was I under any obligation to promote this brewery. I received no additional perks for promoting Capital Brewery. I’m merely expressing my opinion based on my experience tasting the product. Please comment, share or retweet if you enjoyed reading my review!